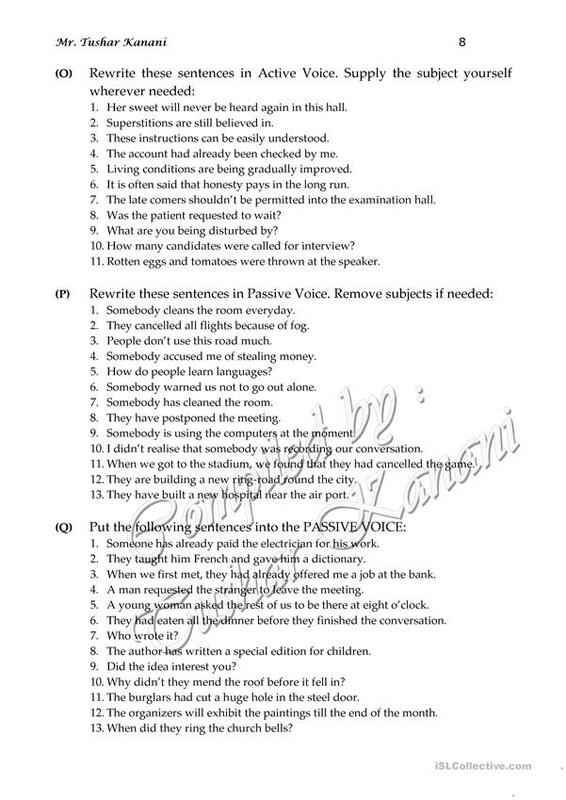 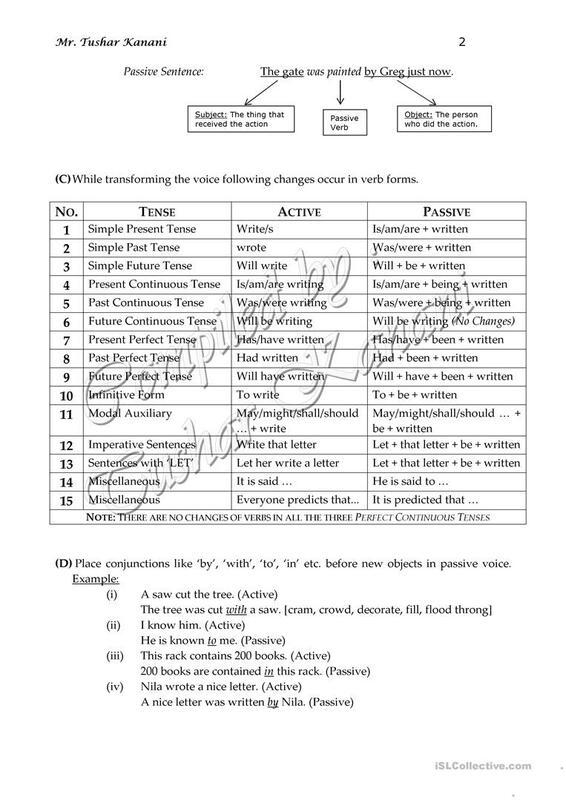 Here is a worksheet of 9 pages containing explanation and exercises on the topic active-passive. i hope this second effort would help facilitators to introduce active-passive effectively in classroom. 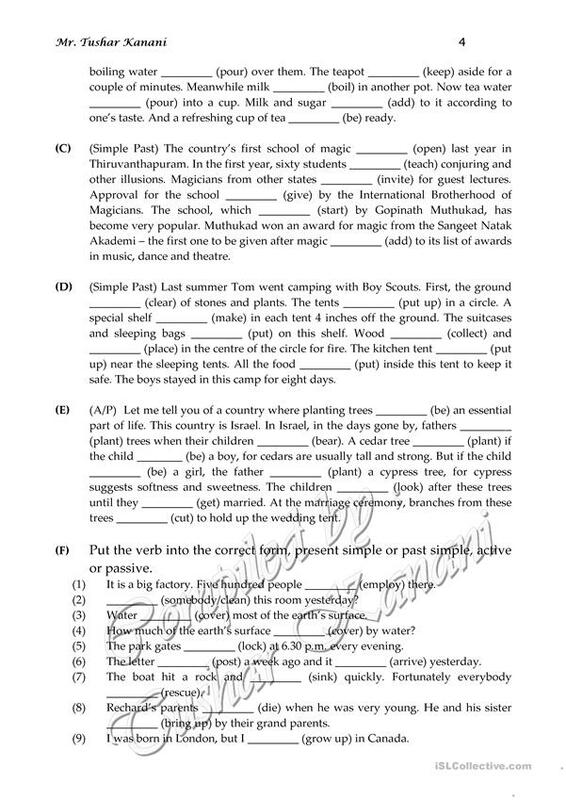 The present downloadable handout was created for business/professional students, high school students, elementary school students and adults at Pre-intermediate (A2), Intermediate (B1), Upper-intermediate (B2), Advanced (C1) and Proficient (C2) level. It is great for consolidating Passive voice or active voice in English, and was designed for working on your groups' Reading and Writing skills.